This is a picture from Jaguar. 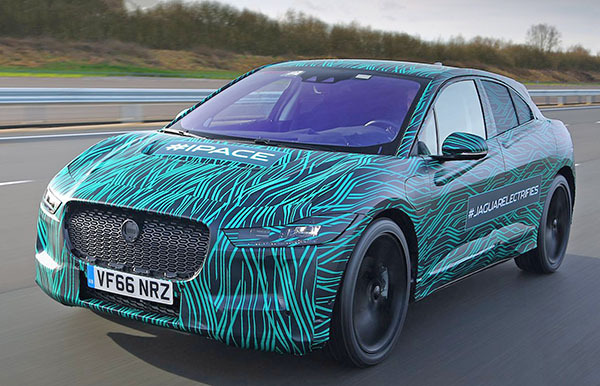 Showing the I-Pace EV prototype. And this is last year's concept. I saw a version of it at the Los Angeles Auto show and was really impressed. The Jaguar people were saying the production version would be really close to the concept. And they were not lying. The production prototype looks as close as it can be, without being 100% the same. This should be a very nice car. Still... It doesn't look very "Jaguar" to me. Without the grille, it could be the next Mercedes GLA. The concept Electric range is rated at "Over 220 miles". Which is OK. Nothing great. When a cheaper Chevrolet Bolt gets around 240. The next Leaf should also be around the same number. Burlapp. 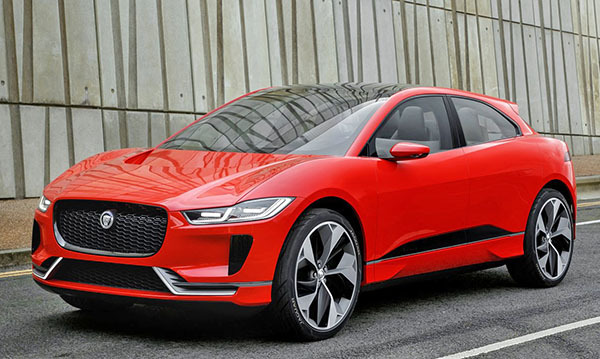 I thought you didn't like Jaguar's modern styling, now you like it? It's the front wheel drive stance that makes it wrong. Pop virtually any other automaker's grill onto this and it would fit right in. It basically looks like they took another automaker's platform and did a styling job on it. It's still good looking, but not much of a Jaguar. Jaguar knows how to design good looking cars. I'm a fan of their entire lineup. One big but thought: their interiors are inferior to the competition in terms of materials and design. They just don't feel as rich as in their main competitors, imho. They're nice looking car both inside and out. Just checked out the F Pace. However, what's missing is Jag DNA. The design needs to be a bit more old school English. Before you complained that Jaguars were too stuck in the past and they needed to be more modern and evolved and now they are and you say it doesn't look like a Jaguar anymore....can't have it both ways. Yes you can. Porsche is doing it. They all look great. And they all look like Porsches. Showing how a modern Jaguar design could/should be. Instead, they stripped their new designs of any personality. The F-Type does look fantastic. of course. But their sedans are horrible. Of all car companies, Jaguar should be the one with the most personality.